It makes sense to compare pricing to get the best deal, however make sure you compare "apples to apples." There is no standardization for pre-purchase inspections and most Automotive Technicians are not qualified to perform a comprehensive pre-purchase inspections (PPI). All existing problems not discovered during the inspection process become your problems after the sale. Once you compare "apples to apples" and understand what is needed to get a professional pre-purchase inspection, our price of $149* is a great value. 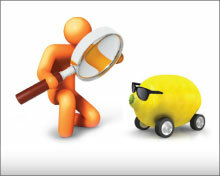 For over 18 years, Auto P. I. has helped buyers reduce the risk of purchasing vehicles with existing problems. Please read our Yelp and	Google reviews and see what our customers say about our professional pre-purchase inspections. Auto P. I. vans are fully equipped with all the necessary diagnostic tools, hydraulic lifts, and computer testing equipment to perform the PPI. We go directly to the vehicle and normally provide same day service. We do not perform any type of repairs, so there is no conflict of interest. Any automotive company, repair shop, or person can say they perform a PPI. However, there can be huge differences in the quality and comprehensiveness of the inspection, depending which Automotive Technician inspects the vehicle. A pre-purchase inspection needs to be performed by an Automotive Technician that has been tested and certified on all 8 general automotive areas. However, today's vehicles have become so complex that most Automotive Technicians just certify on one or more of the 8 areas. These Technicians are "ASE Certified" but only one a few the 8 areas. Only an "ASE Master Certified Technician" is certified on all 8 mechanical and electrical areas of the vehicle. A pre-purchase inspection should include all mechanical and electrical systems PLUS a Body & Frame inspection. ASE Master Technicians are only certified on the mechanical and electrical systems. The Technician should be also a Body & Frame Specialist to detect current and previous accident damage and let you know the quality of any previous accident repairs. All Auto P. I. Inspectors are ASE Certified Master Technicians AND Body & Frame Specialists. *In our service area. Additional $10 charge for systems or vehicles that require additional time to inspect including, convertibles, 4-wheel drive or AWD, turbo and super chargers, SUVs, minivans, crossovers, luxury and high performance vehicles. There is a $50 charge for less than 2 hours notice cancellation or if vehicle is not available for inspection. Internet buyers can order a full set of pictures for $25.